As February draws to a close, I'd like to remind you that there are two Passwords just waiting to be solved. I thought I'd give you a run-down of the clues so far and perhaps entice you to try your luck at guessing before the first round runs out of time. The Password category is Famous Person. If you'd like to offer up a guess, please click on the Super Password link and enter your guess in the form provided. Anyone may guess--no previous participation necessary. And, maybe, just maybe I could talk you into joining us for the March/April round. We'll be offering up clues for a Historic Event. 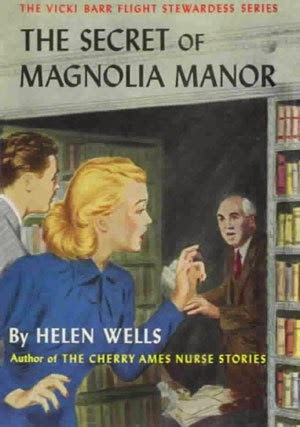 The Secret of Magnolia Manor (1949) is the fourth book in the Vicki Barr Flight Stewardess mystery series. It is credited to Helen Wells, but many sites say that Julie Campbell (author of many of the Trixie Belden books) started writing these stories with Magnolia Manor. Vicki begins her career in New York, but in this story she has been reassigned to the New Orleans-to-Guatemala City run. A friend of her family has recommended that she make a pension owned by Paul Breaux and his niece Marie her home base in New Orleans--promising Vicki that she will love both Mr. Breaux and Marie. Vicki quickly becomes friends with the lovely young woman, but Paul Breaux seems awfully severe and moody, especially where his niece is concerned. He often forbids her to leave the pension and becomes very upset when she forgets small things like shrimp for gumbo. Marie will soon turn 18 and is engaged to Bill Graham, a hard-working young man who is renovating Magnolia Manor, the old Breaux plantation. At first the new owner, Mr. Carlisle, plans to make the manor into a home for himself and his wife, but when they find that the dampness from the bayou does not agree with Mrs. Carlisle, he decides to convert the manor into a club/inn. Part of the new renovation plan calls for a wall to be torn down between the parlor and the library to make a spacious dining room. When Breaux hears of the new renovation plan, he becomes unreasonably enraged and insists that his former home not be desecrated in such a way. Bill apologizes for bearing bad news, but says that he must follow the orders of his employer and the new owner. Marie's uncle forbids Bill to ever set foot in the pension again and tells his niece that her engagement is off. The family chalks Breaux's behavior up to moodiness and eccentricity. But when Bill mysteriously disappears, a "ghost" is seen at the manor, and Breaux, who has formerly been a late-sleeper, starts changing his daily habits, Vicki is convinced that Marie's uncle is up to something. She convinces her new co-worker, Dusty, that her suspicions are well-founded and they borrow a helicopter to search for Bill among the Cajuns in the swamplands. The rescue of Bill and a search for missing family papers in the manor reveal the true reason Paul Breaux doesn't want Magnolia Manor renovated. 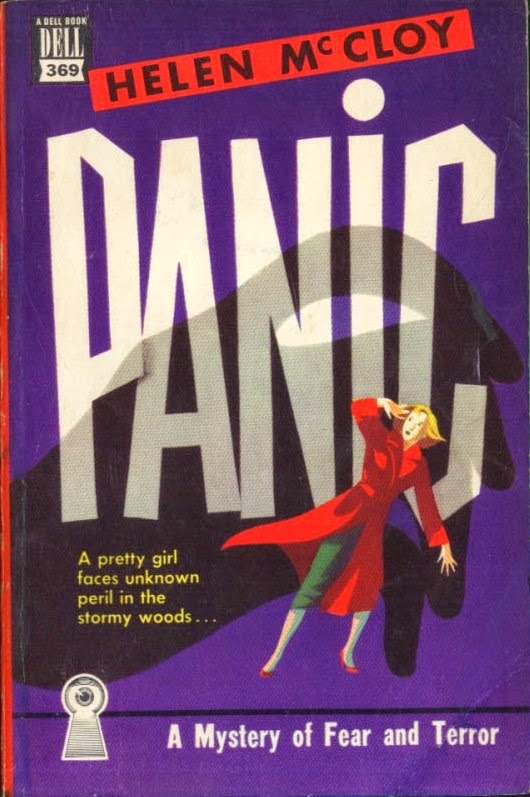 Unlike Nancy Drew whose mystery-related travels are more pleasure trips turned detective outings, Vicki Barr represents the career girl as girl detective as a side-line. Her detective radar goes off when passengers act strangely or locals in cities along her flight runs seem to be troubled. And her position as a stewardess gives her valid reasons for becoming involved in mysterious circumstances in so many different places. But like Nancy, she is independent and resourceful--representing the modern young woman in the post-war world. Her independence is particularly apparent in this story where Paul Breaux uses Creole customs as an excuse to curb his niece's freedom. 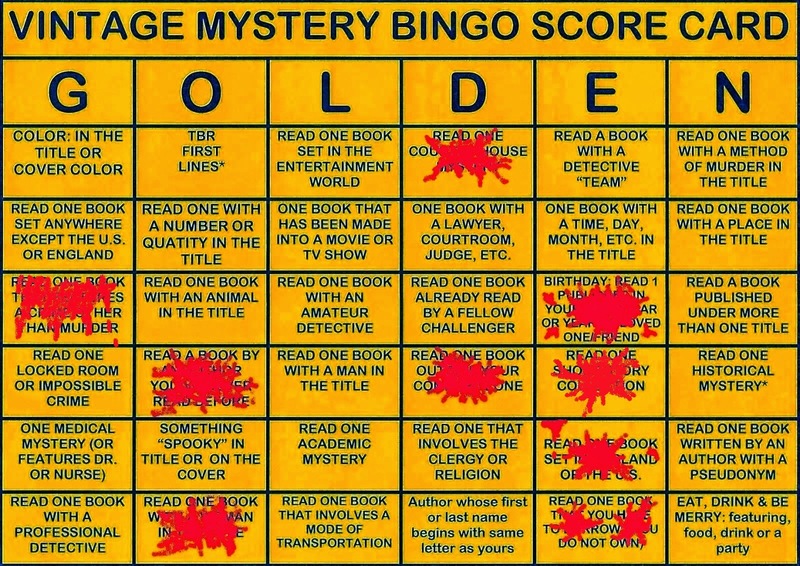 This fulfills the "Crime Other Than Murder" square on the Golden Vintage Bingo card. The world is at war and someone has declared a private war of nerves on Alison Tracey. When Alison's Uncle Felix Mulholland dies, apparently from heart trouble, she is left without a job and without a home. 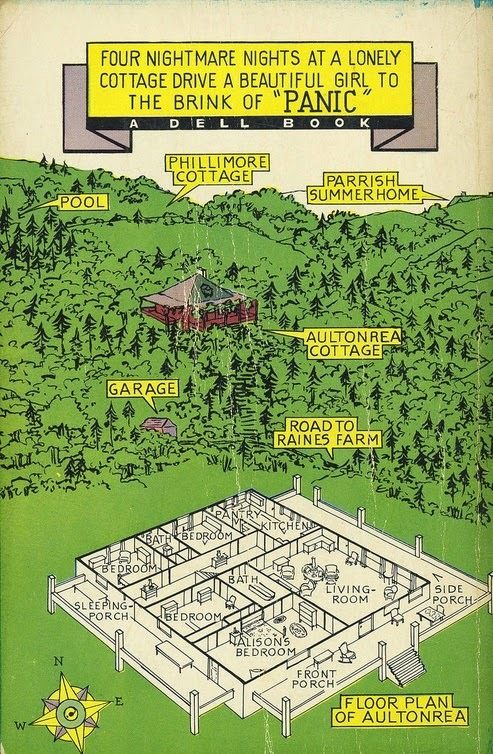 Her cousin Ronnie, who has inherited the bulk of what little their uncle had to leave, offers her the use of the remote cottage in the Adirondacks while she recovers from her loss and sorts herself out. Alison looks forward to the time alone and says that she will not be nervous on her own four miles from the nearest small town. But that's before the rustling noises begin outside the cottage. And the mysterious footsteps....when no one seems to be there. And the odd, loping shadow that she glimpses in the moonlight. And the small changes in furniture position that provide evidence that someone searches the cottage whenever she's away. She's not precisely all alone in the woods. Geoffrey and Yolanda Parrish--one old friend (Geoffrey) and one old rival (Yolanda)--are within walking distance. And Mrs. Phillimore, Alison's nearest neighbor, is a fairly new addition to the mountain community. But should she trust the bizarre woman who walks and talks like a man in disguise? Her cousin Ronnie arrives with Dr. Kurt Anders, a psychologist, in tow. But even Ronnie isn't as assuring as he once was. Then there's Matt who drove her from the train station and delivers her groceries...and who has a voice that is disturbingly familiar even though he says they've never met. And finally there's Colonel Armstrong who claims to be Military Intelligence and is looking for the key to an "unbreakable" cipher which Uncle Felix told him he had developed. Armstrong keeps popping up at the most unexpected times. Is he what he says he is? Alison isn't sure who she can trust...and when matters come to a crisis one dark and stormy night it will seem that she can't trust anyone. Geoffrey says he'll keep watch on her cottage, but disappears just when he's needed most. Colonel Armstrong appears once more, but dashes out the front door in pursuit of someone that Alison never saw. Even Argos, the faithful family dog who has been keeping Alison company, disappears into the rainy night. Helen McCloy consistently entertains in her mystery stories. 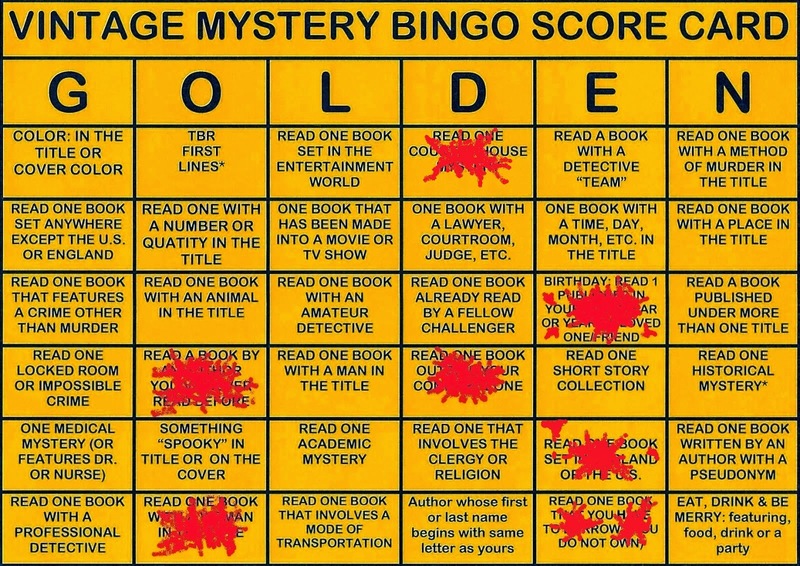 Here she sets up the suspense novel--frightened heroine in a secluded cabin, but she still provides the readers with a fair number of clues to make this a true Golden Age style mystery. Fair play is definitely evident--even though I didn't pick up on the clues she generously displayed for me. My two quibbles with this one are more personal than actual mystery critiques. First--Alison seems to be a very intelligent young woman. Prior to her uncle's death she has had zero interest or knowledge of ciphers and how they work. But--over a period of four days she manages to unravel the code when others with a background in ciphers can't. Okay? So, she's a smart woman. Let's accept that. Given that premise...then why on earth does this smart woman repeatedly leave the cipher papers scattered about where anybody who stops by for a neighborly visit (or not-so-neighborly in the case of the prowler) can see them? The only reason she can come up with for anyone (other than Yolanda who hates anything in a skirt that attracts her brother's interest) to be spying on her is the cipher. And yet...she does nothing to hide it. It irritates me when normally smart people do obviously stupid things. Especially when they do it on a "rinse and repeat" cycle. Two--the cipher. Okay, it's central to one of the story lines. I got that. But, seriously, did we really have to have pages and pages of explanation about how the darn things work? I thought it was a little yawn-making when Dorothy L. Sayers had Lord Peter give Harriet a lecture on codes in Have His Carcase. I skipped some paragraphs there....but Sayers has nothing on McCloy. Pages of explanation. Tableau after Vigenère tableau. And not just once. We get several installments. 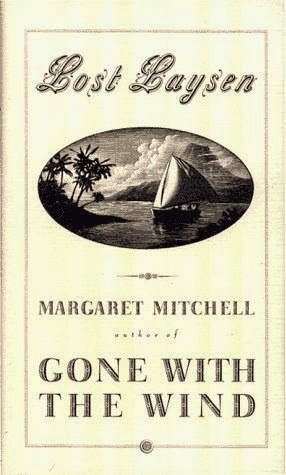 Fortunately, the story is a good one and the characters are interesting and memorable--with Argos, the blind cocker spaniel, nearly stealing the whole show. Throw in a vivid setting and slight shift in the mystery motive tableau (see, I did pay half-ways attention to those code lectures), and we have a ★★★★ outing. This fulfills the "Country House" square on the Golden Vintage Bingo Card. While it is not the standard country house story--cast of characters stuck in a snow-bound or otherwise isolated house with victims piling up--we do have a country house, a stormy night of crisis, and a set cast of suspects. And a very enjoyable mystery. 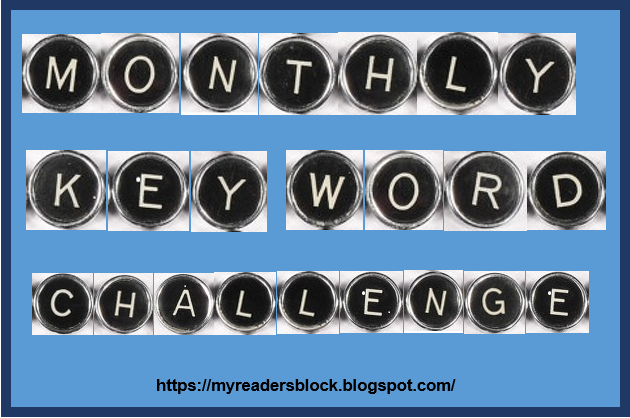 I'm back again for another entry in my friend Noah's October 8 Challenge. 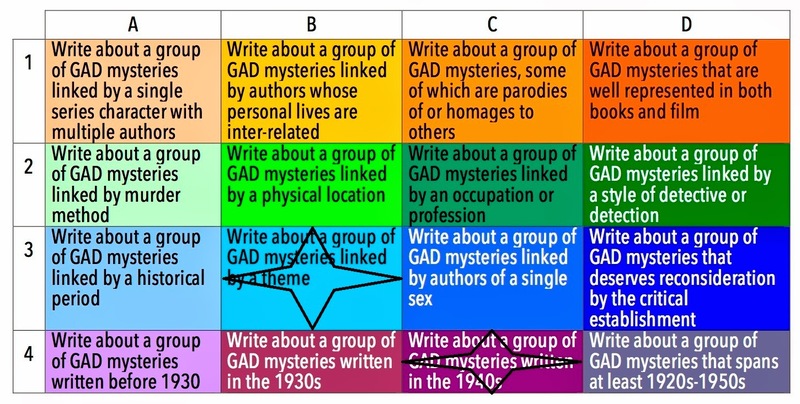 Noah is a Golden Age Detection (GAD) aficionado and one of my Vintage Mystery Challengers and he's put together a Bingo-style Golden Age mystery essay challenge of his own. 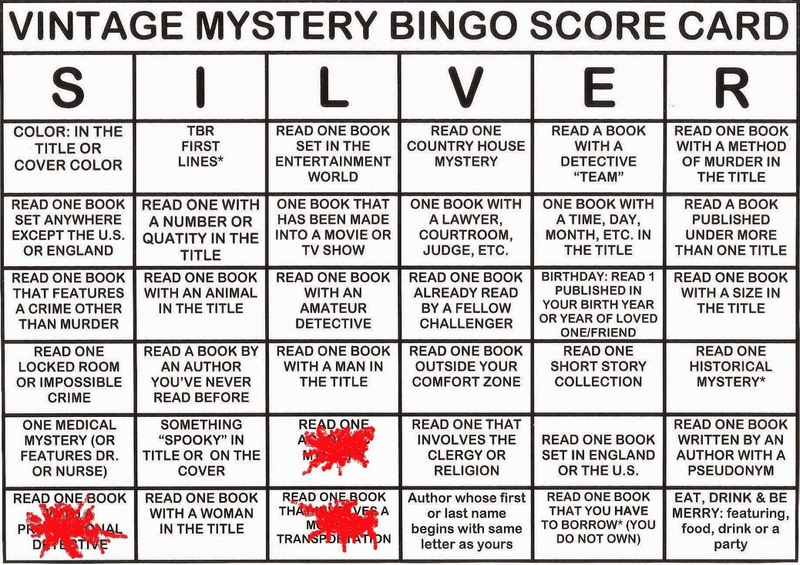 I'm not entirely sure that I'm going to meet my goal of one Bingo. Especially since it looks like I'm hopping around the board rather than making a straight line. But...I'm still going to give it my best shot. Today's entry is a little essay on Girl Detectives to fulfill B3 (linked by a theme). My first acquaintance with the girl detective genre came, as I'm sure it did for many girls, with Nancy Drew when my mom passed her set of six Nancy books on to me. 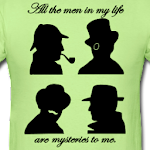 She was, in fact, my introduction to mysteries. More than than that Nancy and her blue roadster stood for adventures. My parents have always supported me no matter what. They believe I can do anything I want--and made me believe it too and taught me that it never mattered that I was a girl. Nancy was my first reinforcement of that idea in book-from. She began her adventures in 1930 and was independent and self-sufficient from the beginning. She was supported by a loving and interested father who had taught her to take care of herself. When Nancy has a flat tire while out detecting in her roadster, she doesn't have to wait for some strong man to come along and change it for her. She sets to work on it herself. And she's prepared for the dangers of detective work as well. 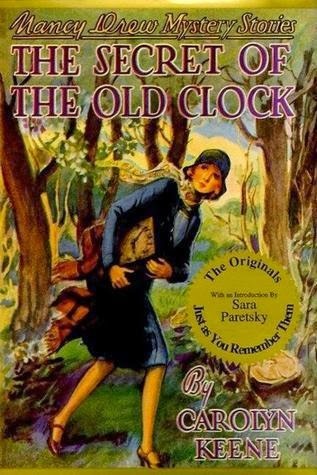 When Nancy first indicates that she wants to try and track down the missing will in The Secret of the Old Clock, Carson Drew doesn't tell her the job is too difficult or too dangerous for a girl. He just tells her: "Detective work isn't always the safest occupation in which to engage. I happen to know that Richard Topham is an unpleasant man when crossed. If you actually succeed in learning anything which may help the Horner girls, you are certain to have the Tophams in your wool." He warns her of the dangers....but he doesn't warn her off. Throughout the series Nancy finds herself in tight spots and manages to work her way out of them. Nancy was my mainstay in detective fiction for a long time. She was always on my Christmas wish list and I regularly spent my hard-earned allowance at the local used bookstore on editions of her stories that I didn't yet have. I worked my way through all 56 of the hardbacks and a few of the soft cover stories before leaving her behind for Sherlock Holmes and Agatha Christie. But Nancy wasn't the only girl detective on my list. Trixie Belden, whose first book was published in 1948, was in some ways a more realistic character for a middle-class girl to relate to. I might have wanted to be Nancy with her roadster and the ability to travel just about anywhere at the drop of a hat, but it was far easier to see myself as Trixie--the tomboyish girl with a quick temper. Nancy is well-to-do and has a wealthy father to support her in all the travels she does--from ski lodges to Hawaii to Scotland to the jungles of Africa. Trixie has to work hard at her chores to earn spending money and is often struggling with her schoolwork. Her trips are usually to visit family. She seems to face more of the ups and downs of teenage life than Nancy does--everything from squabbles with her brothers to dealing with her own insecurities. But the one thing she does share with Nancy is her knack for solving mysteries. Trixie and Nancy were my girls growing up. Nancy was my ideal and Trixie represented a more realistic view of what I might be able to do if I wanted to set up a girl detective business of my own. But I abandoned them once I got started on Holmes and Poirot and Miss Marple and others. Then, just a few years ago, I found a first edition Judy Bolton story in an antique shop--and, on a whim, I bought The Voice in the Suitcase. 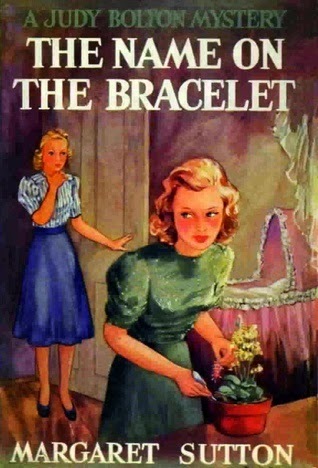 That story reminded me of my early love for the girl detectives and I've been susceptible to picking up a few every now and then in recent trips to used book stores...including a second Judy Bolton story The Name on the Bracelet. 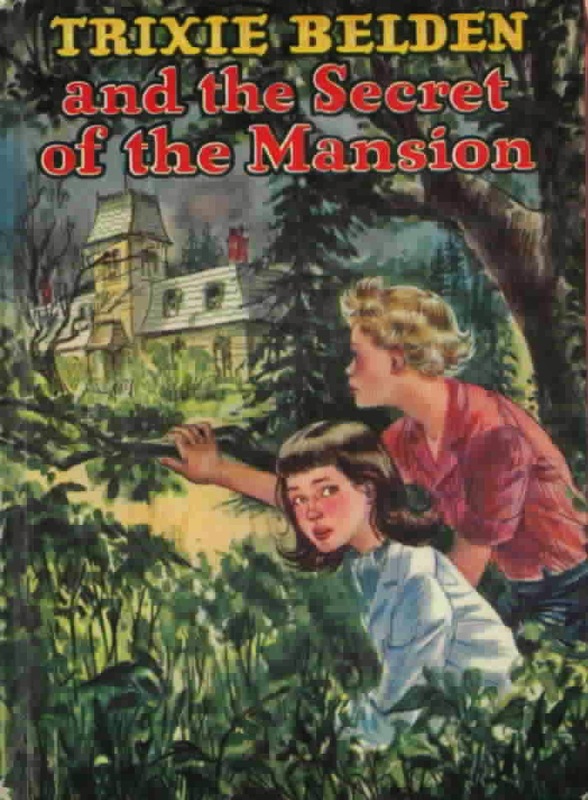 Created by Margaret Sutton in 1932, the Judy Bolton series seems at first glance to be very like Nancy Drew. Judy's dad is a doctor and Judy still has her mom and an older brother thrown in the mix. Her family is fairly well-to-do as Nancy's is. But for those who may think Nancy a bit too privileged (rich dad who let her go on all sorts of trips to ski lodges and what-not; her own little roadster; etc), Judy is a bit more down-to-earth. She is employed as a secretary to a local lawyer and has thoughts of marriage and a family--and, unlike most of her fellow girl detectives, actually does marry about half-way through the series. 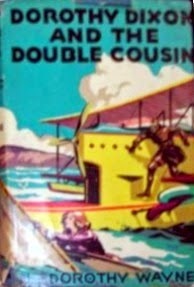 Another recent acquisition was Dorothy Dixon and the Double Cousin (1933). Dorothy is a lot like Nancy...but even more so, if that were possible. She's just your typical girl sleuth--you know, the kind of girl who can fly planes, pilot motor boats, throw a knife with deadly accuracy, and take the place of an almost-identical twin cousin at the drop of a hat (without ever having met the cousin before and, therefore, without having the first clue how said cousin behaves in day-to-day situations). Dorothy is a mere sixteen years old, but by the time Dorothy Dixon and the Double Cousin takes place, she already has three mysteries under her belt and the local Secret Service agent trusts her enough to take her into his confidence over top secret plans for a super spiffy, super dangerous formula for a brand new explosive. Much adventurous hi-jinks ensue and it all ends well...as readers of these Girl Super Sleuth adventures know it will. That's one of the good things about these mysteries. Dorothy (or Nancy or Trixie or Judy....) always gets her man--or woman as the case may be. Good triumphs and the criminal is always caught. The clues all come together and it makes for a nice happy wrap-up. 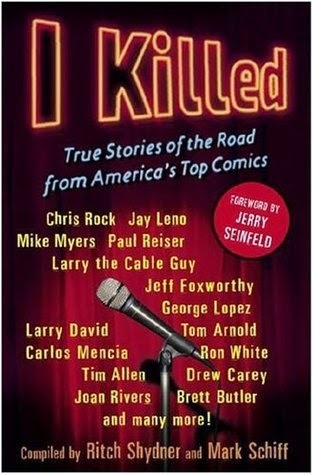 They make for very comfortable, feel-good reading...especially for those of us looking for a nice nostalgic trip down memory lane. Lost Laysen by Margaret Mitchell is really two stories in one volume. The first half is a real-life love story told in letters and pictures which Mitchell's beau, Henry Love Angel, had kept secret throughout his life. When he died in 1945, Angel left behind love letters from Mitchell, photos taken over the years, and two notebooks which she had entrusted to him. Although those materials were passed on to his son, Henry Jr. did not really examine them until he heard about the Atlanta museum dedicated to Mitchell and Gone With the Wind. He decided to contact the museum to see if they would be interested in what he had. The letters and photos tell the story of Angel's unrequited love for Mitchell and of his repeated proposals and her refusals. Though she had great affection for him--affection that is made plain in her letters, she ultimately chose to marry two other men in quick succession. She realized that her first husband had been a mistake almost immediately and divorced him. It is interesting to speculate why she did not choose the faithful Angel. And although he finally fell in love with another and married, he still remained her faithful friend, keeping her letters and her notebooks safe and secret until his death. The second story is found in the two notebooks. Written by Mitchell in 1916 when she was just shy of her 16th birthday, Lost Laysen is a story of a spirited young woman determined to be "a missionary" to the people on the island of Laysen and the two men who loved her. One is a rough deckhand on the ship which carries her to the island; the other is a gentleman of her own class who is determined to follow her and bring her home to marry him. All three of them value honor--the men will go to any lengths to defend her honor against a villainous man and she values her honor over her life. 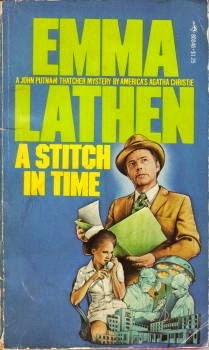 A Stitch in Time (1968) by Emma Lathen is the seventh mystery featuring John Putnam Thatcher, Wall Street Banker and amateur sleuth. The book opens in court with the Freebody vs. Altantic Mutual case. Pemberton Freebody, a wealthy elderly man had been diagnosed with cancer. Rather than face such a dreadful death, he decides to go to the woods with a shotgun and end it all in his own way. A good Samaritan happens to find him and takes him to the Southport Memorial Hospital where Dr. Wendell Martin operates on Freebody and it looks like he'll survive. But four days later, Freebody dies and now the insurance company is balking at a pay-out of the beneficiary's $100,000 claim. Atlantic Mutual cites the suicide clause (which invalidates the claim) but it's just not that simple. An autopsy reveals that Martin left seven hemostatic clips in Freebody and the lawyers for the claimant submit that the old gentleman didn't die from the gunshot wound but from a botched operation. Thatcher's bank, the Sloan Guaranty Trust, is the trustee for the beneficiary and Thatcher is interested in the case. The more he sees in court, the more sure he is that the hospital staff are covering up. And when Martin is murdered after a few unwise comments to the press Thatcher is even more sure. But is malpractice the only thing Southport Memorial is trying to sweep under the carpet? The next big reveal is that there is money missing from Martin's estate...and money, after all, is what Thatcher does. His search for the missing money will dig up all the secrets those doctors at Southport Memorial hope to keep buried. 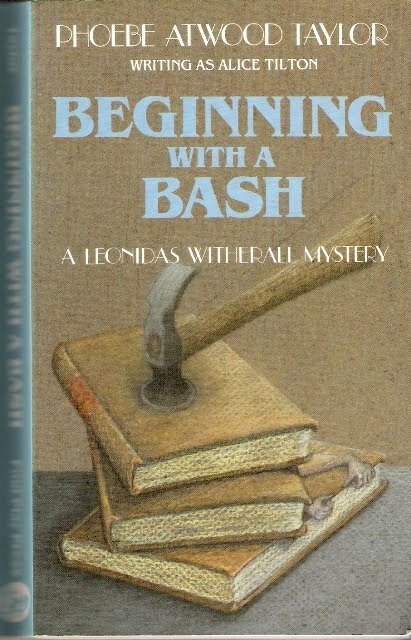 This was my first Emma Lathen mystery. Lathen is the pen name for two American businesswomen, Mary Jane Latsis and Martha Henissart. And it's apparent even from my small sampling of their work that these ladies knew their way around the business world. Financial interactions ring true and Thatcher's character is well-developed and grounded--and likeable. I particularly enjoyed his interactions with Benjamin Edes, an older banker in the Southport area who enjoys tracking down financial skulduggery for Thatcher and who gives us a different view of the "stuffy old banker in the three-piece suit." This fulfills the "Pseudonymous Author" square on the Silver Vintage Bingo card. 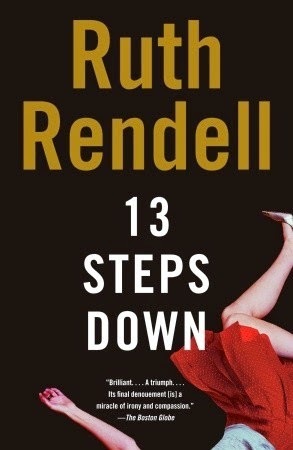 Ruth Rendell's 13 Steps Down is a psychological thriller based entirely on obsession. Mix Cellini is obsessed with two things murder and beauty. Or, rather, the murders of serial killer Reggie Christie, hanged over fifty years ago for the murders of eight women or more, and the beauty of supermodel Nerissa Nash. He has read everything available on Christie and recently moved into a flat in a decrepit house in Nottinghill--the old stomping grounds of Christie. He's thrilled to pieces to find out that Gwendolen Chawcer, his landlady had some sort of connection to the killer and he develops his own theory what that connection might have been. Nerissa he worships from afar and he develops elaborate plans to find a way to meet her. But will his obsessions be his undoing? Gwendolen Chawcer has a few obsessions of her own--reading and dwelling on the only man she ever loved, Dr. Stephen Reeves. She's sure that Reeves would have asked her to marry him if fate hadn't interfered. And when she learns that he has recently become a widower she's certain that he'll come back to her...if she can just find the right words to write to him. Nerissa Nash is a supermodel who only wants to settle down with the boy next door. Or rather, the boy who grew up next door to her when she lived at home with her parents. But--despite her fame--he doesn't seem to know she exists. When she notices the man stalking her, she hopes it's a blessing in disguise...a way to get Darel Jones to come to her rescue so they can live happily ever after. Danila Kovic works at a health spa that Nerissa seems to frequent. Cellini sees Danila as a way to get into the spa and get close Nerissa. And Danila thinks she's found a boyfriend at last. When she discovers Cellini's interest in the supermodel, she makes a few inadvisable comments out of jealousy. But will she lose more than a potential boyfriend? “Goodness, Mr. Cellini, I've not time to answer all these questions. I've got to get on.'" Adam from Roof Beam Reader is calling for the second checkpoint in his 2015 TBR Pile Challenge. 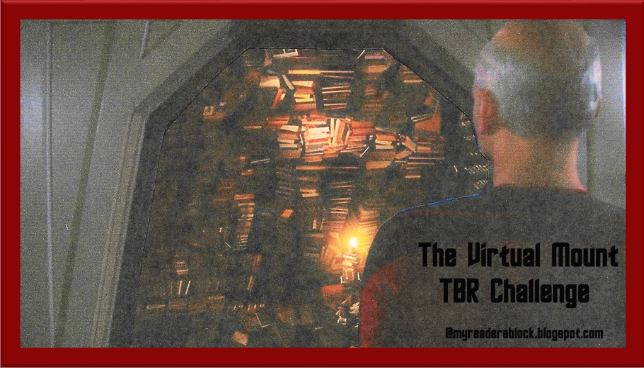 Since it will be Valentine’s Day weekend when this post goes live, I have to ask: Do you have any “romantic” books on your 2015 TBR challenge list? If so, which ones?! (This could be capital r Romantic, or regular lovey-steamy romantic). Hmmm. Not really. I've got Death in Kashmir by M. M. Kaye on the list and Kaye normally throws a little romance in to her mystery plots, but the romance isn't really the point. I'm not a big romance novel reader...and I didn't choose any classics that would fall into the Romantic category. 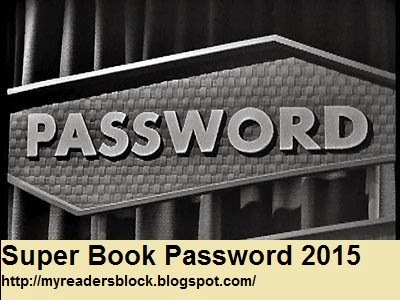 The current round of Super Book Password (Jan/Feb) is heading towards the finale--only two more weeks!. Ryan and Debbie both have first-entry clues just waiting for you to guess. Ryan also managed to figure our my first entry [William Shatner] and so I have started another entry in the "Famous Person category". We'd love to have you join in! 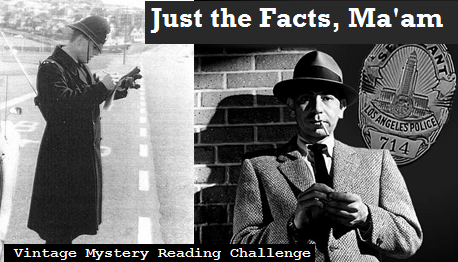 You don't have to read books and set clues in order to participate--all guesses welcome. Just click on the Super Book Password picture in the Sidebar to the left and follow the links! 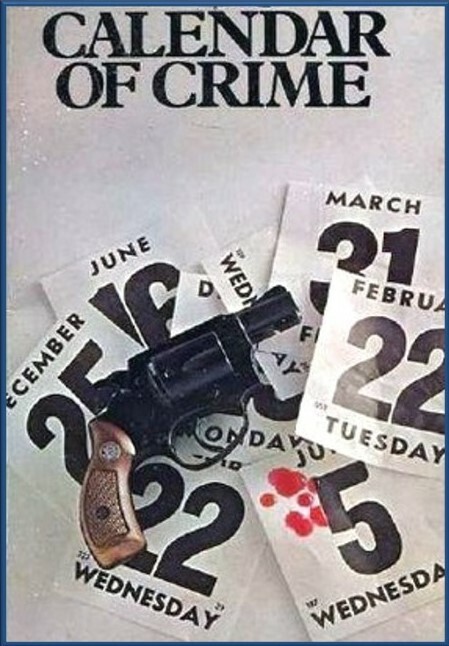 Anthony Boucher says (on the front cover of my edition): "...his first straight crime novel. Plausible and fascinating...one of the season's most absorbing." 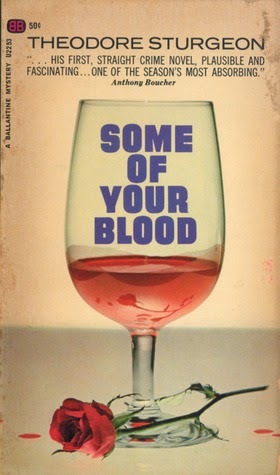 I hate to disagree with Anthony Boucher, but a straight crime novel is not how I would describe Theodore Sturgeon's Some of Your Blood. Is there crime in it? Sure--although you won't really know it until the end. But there is nothing "straight" about this twisted story of the sociopathic psyche of "George Smith." This book really lives in that borderland of psychological horror. Told in epistolary fashion--through letters between two Army psychiatrists, the written life story of "George," and written reports of testing and sessions with this troubled man--Some of Your Blood reveals the disturbing story of a young man raised in a rural community. The son of the town drunk, George receives little education and less affection at home. He must survive days without food and he seeks solace in the woods in order to escape the beatings that will come whenever his father is drunk. During his time in the woods, he teaches himself to hunt all sorts of animals. When he's older, he resorts to stealing food from a local store (with a conveniently easy to open basement door) to make sure they have something to eat. But it isn't long before he's caught and sent to a troubled children's home--more like an orphanage than a prison. Amazingly enough, George enjoys his time in the children's home--he has a clean bed, a small space to call his own, three meals a day, and instructors who care enough to fill in his spotty education. When both his mother and father die, his aunt (his mother's sister) comes to ask him to live with her and his uncle. He has some difficulties with his uncle and once again takes to the woods and hunting and one day he meets Anna, an equally unloved and lonely neighbor. They become close and he eventually makes her pregnant....and he decides to enlist in the Army. With its regulated ways, the Army makes him feel as safe as he did at the children's home. Until the day he has to help unload a plane of wounded and dying soldiers. He can't run to the woods this time. So, instead, he writes a letter to Anna which upsets the censors when they get hold of it. The censors give it to his commanding officer, who in turn questions George about it. He attacks the man and is sent home to a psychiatric hospital....that's where our story begins and ends. Phil Outerbridge, the doctor in charge of his case, asks George to write out his life story. The details George gives him makes Dr. Phil sure that there is an underlying secret that has driven George's behavior. The rest of the book is spent in the doctor's efforts to discover the secret and to decide how best to treat his patient. This is a very shocking, very disturbing novel. There is one portion of the Boucher quote that I agree with--this is a very plausible story of a damaged man. It is all too easy to imagine the circumstances which could have resulted in this man and his story. It doesn't stretch the imagination too much to understand how a man who grew up in the environment presented us could have behaved in the ways in which George did. The lack of real human contact and the lack of love and compassion can be very damaging, and it certainly has damaged George Smith. The book ends with the narrator turning to us, the readers, and asking us how we would like it end. Shall we end it compassionately--allowing George to receive successful treatment and be sent home to find some happiness with his Anna? Or is George's condition too far gone and the treatment will fail? Sturgeon makes us confront (within ourselves and through our power to choose George's fate) the very issues that have laid the foundation of George's psyche. ★★★ and a half (rounded to four on Goodreads). You know the way. You have the key. And it is your privilege. Sometimes they saw each other at the grange or in town and talked, but everybody knew everybody and no one thought anything of it. And the way people like to talk, to do matchmaking and all, they still never thought anything about George and Anna. I just realized that the review I posted last night was a mile-stone. 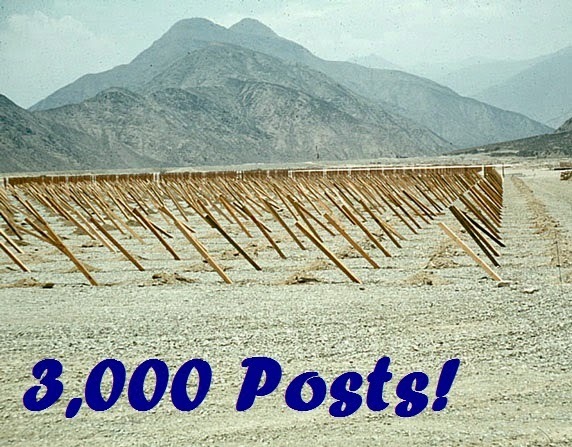 Three thousand posts in five and a half years. Wow. That's a lot of words. Who knew I had that much to say about books? (primarily) Okay, so looking back at my very first post (below) maybe I didn't have too much to say...and definitely not an in-depth review, but we certainly did find out my favorite reading material early. I have finished the first book (pictured here) and have started the second. So far, these are very fun books, definitely fitting into the madcap mystery genre. Ms. Taylor reveals in letters quoted in notes at the back of the first book, that she felt that it would be highly suitable for the silver screen. I can certainly imagine the first book having been filmed in the tradition of the Thin Man series starring William Powell and Myrna Loy. It remains to be seen whether the charm will fade if the formula is repeated in every book (central character going from one impossible situation to the next and getting out of all of them through the most incredible combination of coincidence and good luck). But for the moment I'm enjoying the ride. I have had such a good time with this blog. And I'm glad to say that I've pretty much kept it a reading journal. We're here to talk books and book-related ideas. Thank you to all my friends and followers out here in the blogging world. Thank you to those who joined in way back in 2010 and who have stuck with me. 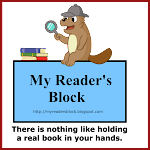 Thank you to all who have discovered My Reader's Block since. You have made the journey more fun than it ever could have been alone. Amanda Pepper is a bit annoyed when a fellow teacher from Philadelphia Prep arrives, wet and dripping, on her doorstep one morning. She's also a bit confused--after all, she and Liza Nichols aren't exactly bosom pals. Liza, a part-time actress & part-time instructor, is beautiful and well on her way to becoming the full-time wife of a scion of one of Philadelphia's wealthiest families. Liza isn't too coherent about her purpose, but swears all she needs is some sleep--could she please take a nap on Amanda's couch until she's supposed to meet Amanda's class in the afternoon? But Liza doesn't show up for the discussion of Macbeth and Amanda is definitely annoyed with her morning visitor when she heads home for the day. She figures Liza stood her up to go shopping for bridal clothes or something. But when she gets home she finds her door unlocked and Liza is lying on the floor, dead. Once the police arrive, Amanda is in for another shock...she seems to be a suspect. The handsome detective in charge of the case, C. K. Mackenzie makes her believe he thinks she ran home on her lunch break to shove Liza violently against fireplace. True to cozy mystery tradition, Amanda decides to do a little sleuthing on her own--to clear her name and to clear up a few other mysteries. Like--who was the Winnie-the-Pooh necklace intended for? Why did Liza really come to her house? Why did Liza tell everyone that she and Amanda were best buddies? Why did she tell her mother and her fiancee that she was spending weekends and overnights at Amanda's house? Why does everyone connected with the case think that Amanda knows more than she's telling? And most importantly--does the killer think Amanda knows something dangerous? By the time Mackenzie crosses her off his suspect list, they've figured out that their relationship needs a little investigating as well. But Mackenzie will need to find a killer before the killer crosses all the victims off of his (or her) list....and before he gets to Amanda. 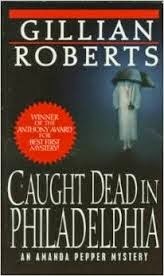 Winner of the Anthony Award for Best First Mystery (1988), Caught Dead in Philadelphia is, indeed, a very good debut novel by Gillian Roberts. Caught Dead caught my eye because of its cozy academic spin and it kept me reading because it's a nicely done, fast-paced read. Amanda Pepper is a feisty protagonist who still has quite reasonable fears and wobbly legs when confronted with murder. I enjoy her interactions with C. K. Mackenzie (and her efforts to learn his disguised first name) and I look forward to continuing the series to see how their relationship develops. This fulfills the "Academic Mystery" square on the Silver Vintage Bingo card. Adam Ludlow, English don and sometime amateur detective, is all set to enjoy a Mediterranean cruise with stops at various European ports. He happily enjoys seeing the Temple of Apollo in Greece and then seeing the Temple of Apollo in Corinth (as he pedantically explains to a suspicious American--the ancient world was simply littered with Temples of Apollo). But despite the calm seas and brilliant blue sky overhead, Ludlow has a feeling of an impending storm. And the clouds seem to be gathering around Diana Acton, a wealthy beauty whose inner beauty doesn't seem to match the outer. She manages to have unpleasant encounters with just about everyone--from her own family to various crew members, whom she claims to be slacking in their duties. But were any of her disputes serious enough to end in murder? It would seem so. Her cabin mate (and one of the few on board to have escaped Diana's scathing remarks) Julie returns from dinner one evening find Diana sprawled across the bed, dead from poisoned juice. Ludlow has often been the recipient of Julie's confidences and he happens along as she is rushing for help. He quickly takes in the situation and makes sure that the body his handled appropriately (or as appropriately as possible by the slightly drunken doctor), the cabin is sealed, and the proper authorities are notified. When the ship docks at Malta, Ludlow's old friends Inspector Montero and Detective Springer come aboard having been sent by Scotland Yard to take the matter in hand. Between the three of them, they soon find motives more solid than ill-tempered disputes--pending investment deals, a need for cash by the dead the woman's brother, rebuffed suitors, jealous wives, and a confidence trickster or two all serve to muddy the waters. But Ludlow has noticed a few clues in the dead woman's cabin as well as in the questioning of passengers and Montero allows him to round up the suspects for a grand finale reminiscent of the golden age. He examines each one in turn before finally revealing the culprit. 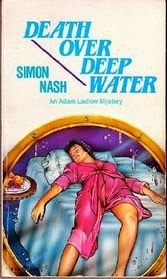 This is the third in the short mystery series by Simon Nash (Raymond Chapman). 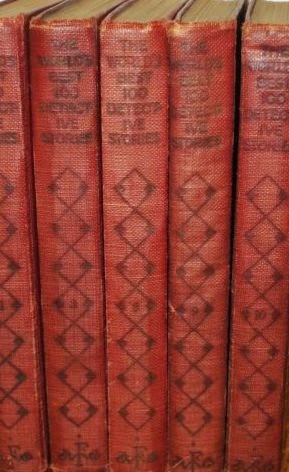 There are five books in all. Chapman was a Professor Emeritus of English Literature at the London School of Economics and had a brief burst of crime fiction writing from 1962-1966 before returning to more scholarly writing for an impending promotion. * Adam Ludlow, his protagonist, seems a bit more pedantic and antisocial in this particular outing than the other two which I have read. It made this shipboard cozy a little less appealing, but Chapman still put together a tidy little mystery with plenty of red herrings and suspects with motive and opportunity. I did identify the killer before the final wrap-up, but didn't quite have all the details worked out. A satisfying ★★★ mystery. Since the main action takes place near and in port at Malta, I will claim Malta as the place of interest for those challenges related to location. Published in 1963, it also counts for the "Mode of Transportation" [cruise ship] square on the Silver Vintage Bingo card.